NBC’s Tom Brokaw restored some sanity to the conversation talking about both the responsibility of the press and the role of confidential documents in any administration. 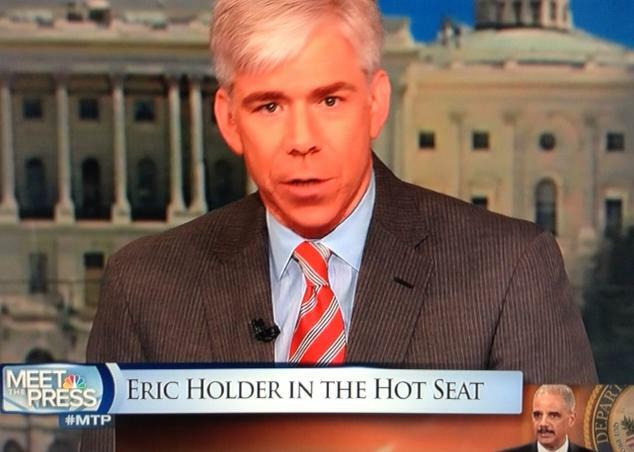 He ended by saying that it was tough to see how Attorney General Holder stays in the job. “I haven’t seen a single accusation which would prevent him from doing his job,” countered Senator Chuck Schumer (D-NY). Senator Schumer predicted that the immigration reform bill will pass the Senate by July 4 and that it may get as many as 70 votes. The IRS scandal was discussed but no new ground was covered. Gregory allowed Tom Friedman a few moments to comment on Syria. He argued for focusing on the outcomes we want in Syria before deciding on the means. Friedman said that if you want a multi-ethnic democracy in Syria, then arming the rebels is not the path. Friedman seemed to be arguing for international peacekeepers on the ground in Syria.